MEXTER forming descending triangle pattern. 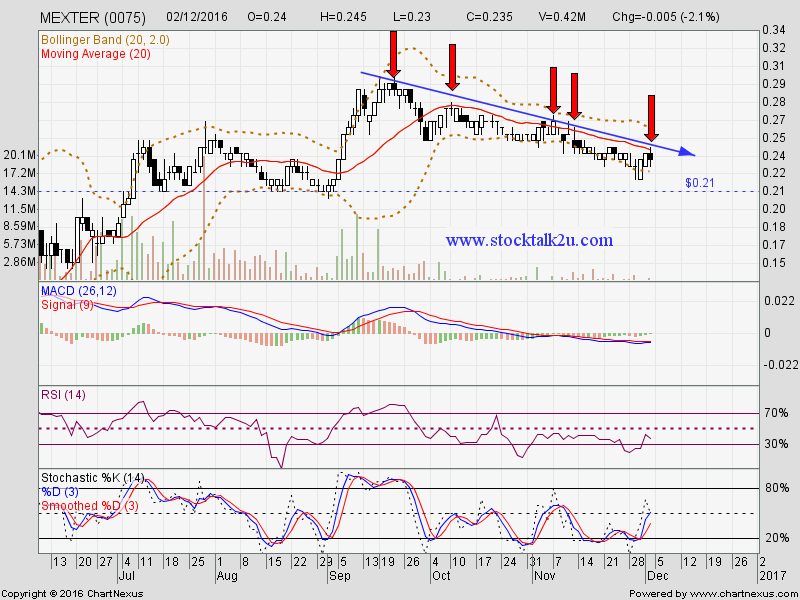 Will it retest RM0.21 support level? Subsequent resistance @ RM0.265 level. Subsequent support @ RM0.19 level. 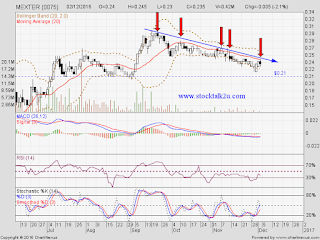 If break the strong support, RM0.21 level, lower low is formed. Potential facing high selling pressure.